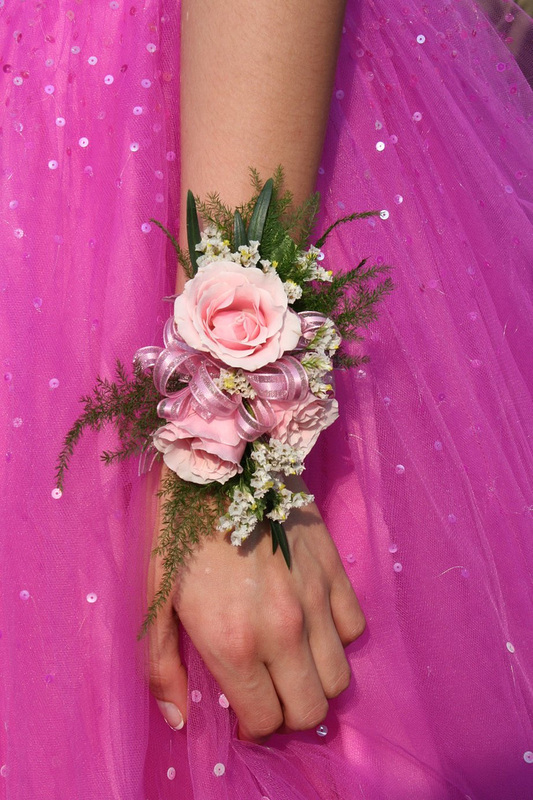 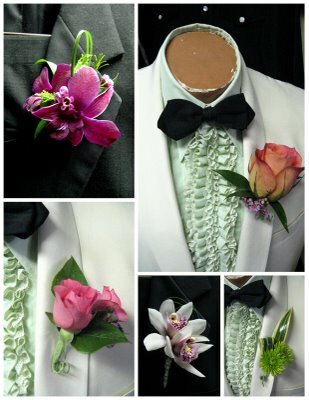 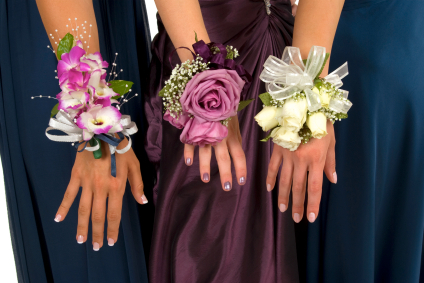 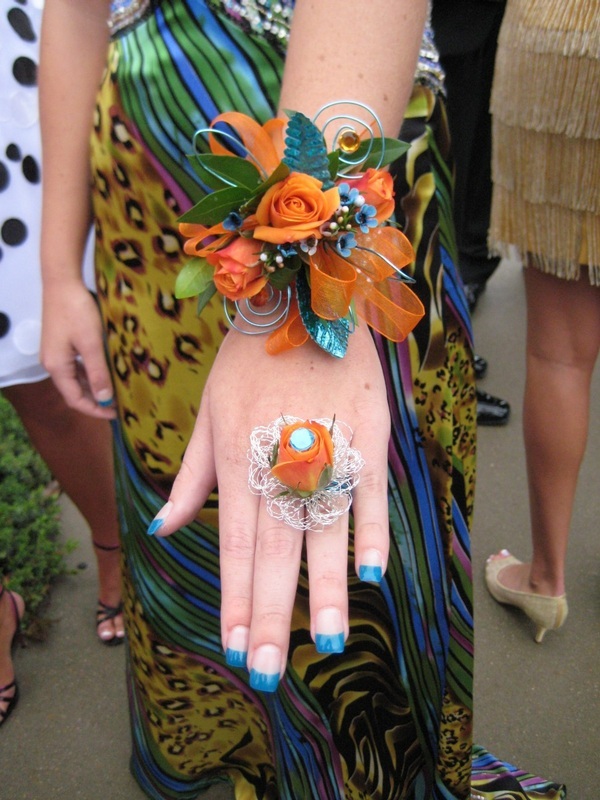 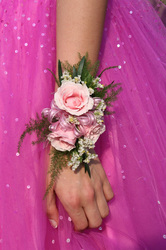 Two popular styles are wrist corsages and small hand-held nosegays (and they look great with strapless dresses!). 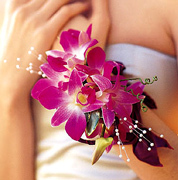 Popular flowers are mini (or sweetheart) roses, standard roses,dendrobium orchids,alstroemeria, lilies, mini carnations and other small flowers such as cornflowers and freesia. 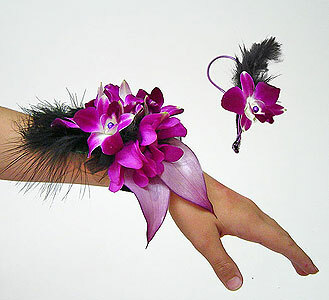 Flowers for your hair or neck or corsages pinned to an evening bag are also great choices.